I hear you...you want more paper crafting tutorials on Silhouette School. And so today I've brought in our Silhouette School regular contributors and paper experts, mom and daughter duo Becky and Glenna, from My Paper Craze. Hi there! It's Becky and Glenna from My Paper Craze substituting today to bring you another fabulous tutorial! As a follow-up to our first tutorial (Embossing with the Silhouette), we wanted to address the very important issue of Comparing Fold Lines: What's the Difference? So one of the most popular questions I've received about using the embossing tool for the Silhouette is if you can use the method to emboss fold lines. Unfortunately, the answer is no, because the Silhouette is not able to emboss deep enough lines into cardstock to successfully work in that capacity. HOWEVER, today we bring you THREE additional fold line methods that will solve this problem for you! The first method we'll talk about is the old fashioned method of using a scoring board. If you are relatively new to papercrafting, you may be wondering, "What is a scoring board?" Well, look no further. We love our Martha Stewart Scoring Board and have included a link here for you (you're welcome). A scoring board is popularly used by cardmakers to score a fold line down the middle of their cardstock and for making envelopes. I'm sure there are tons of other uses, such as scrapbooking, but this is usually the main reason a crafter would invest in a scoring board. Nice, clean and crisp, right? That's why this old school method is so popular, the results are usually worth the extra effort. 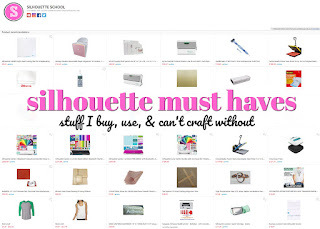 Now do you want to know the short cuts that the Silhouette can offer? 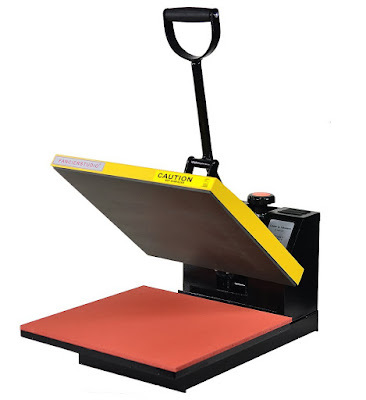 Using your handy-dandy Silhouette can offer you two additional folding/scoring lines that you can't get by hand. This is especially useful if you are cutting a file with intricate fold lines, like a paper rosette. Yikes! Those are super painful when you're scoring by hand. So let's look at the method that many of you know: The Dotted Line (or Perforated Line). There are actually two ways you can achieve similar results: #1 is to change your line style to a dashed line and #2 is to change your cut settings to a perforated line. See how you can actually see the dashed cut lines? For most crafters, this little detail is not a big deal and will vary from project to project. But for those of us who are perfectionists, the dashed line looks a little sloppy (and someone might know you took a shortcut!). So there is one more method you can use if you absolutely need a fold line and don't like the dashed line look: The Kiss Cut. A kiss cut is when you adjust your blade settings to only cut partially through the cardstock. For my purposes, I just simply adjusted my blade to 2 and used the vinyl cut setting. The pro is that you do get a very clean fold line. But the con is that you actually compromise the integrity of your cardstock. By actually cutting partially through the layers of cardstock, the strength is lessened, opening your fold line up to tearing. Now I'm not sure many papercrafts involve extreme pulling on those fold lines, but let's think back to our paper rosettes. Since those are folded, folded and refolded a zillion times, then pulled around in a circular pattern, I could easily see where the weakened cardstock strength could cause the fold lines to pull apart at the edges. After all that folding, I'd hate to lose my rosette to such a disaster! Does your design have an intricate or complicated fold line pattern? We all know the Silhouette is more accurate at cutting. Will your fold line be visible? The dashed line is a great option if the fold line will be hidden or if the effect doesn't bother you. How much folding or moving will your fold line be doing? 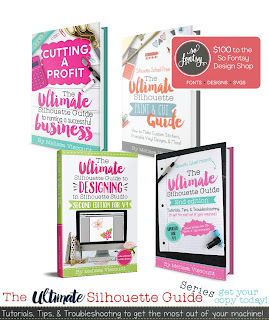 †Will the cardstock strength matter for your project? If not, the kiss cut may be a better option for you. What projects have you been working on this week?† Any new Silhouette tutorials or tips you want to share? 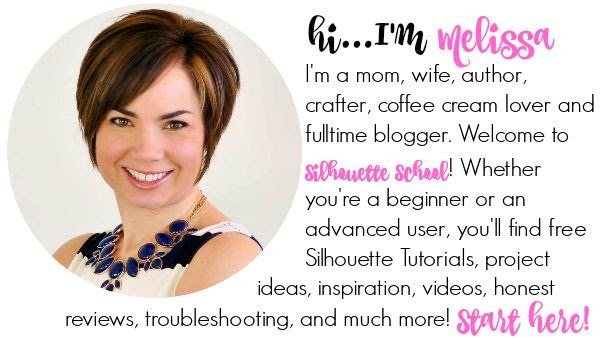 Don't forget to check out Silhouette School on your social media outlets and share your crafty inspiration with all of us! As always, a huge shout out and thank you to Melissa for having us today! We hope to bring you more tutorials and projects in the future, so stay tuned! 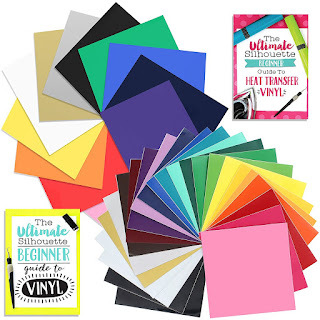 To provide additional for the please, giving her a very plasma used vinyl cutter opinions Lotos element the best solution explanation and also consumer ordeals to guide you in your buy conclusion. 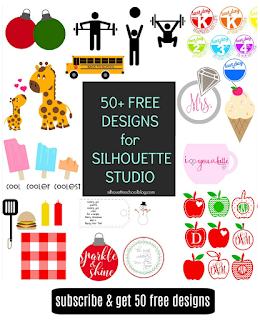 Is this for any Silhouette cutter? Or only Curio, Cameo etc.? Hmm, the instruction is somehow a little bit too complicated to me. It would be better if you could give some more details with pictures. Anyway, thanks for the wonderful post! Wow.. brilliant work. Just loved the creativity. I would love to try this. Thanks for sharing.. There is a way how to summarize an article for the writer. I love it. On Designer Edition, there is actually a Score setting in the Cut settings menu. That takes a blade depth of 1. 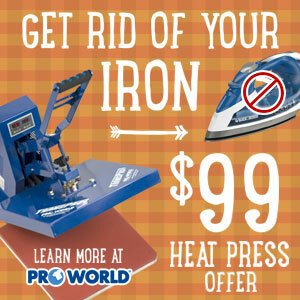 I have used it with great success several times. It's easy to do, I'll make it now. Thanks for sharing! Wow, these paper cards look really lovely. Your tutorial is very easy to follow so I will follow it and try to make some. thanks!